Everything starts, as many things in my life, with Klaus. Klaus is obsessed about panettone. He discovered it few years back when he ate it for the first time at a party, bought fresh from some Italian stand in the city’s market hall. Panettones are not something very common in Finland. In Lidl you can find mini panettones, which is not the same, and in the most expensive shops you can find the real ones at (you guessed!) an inadmissible price, which I am not letting anyone spend, since it would be almost cheaper to take a flight to Milan and buying one there, “km 0” as we would say in Italy, that is buying locally and saving on transportation. All this escalated to Klaus coming home one day with a “present” for me him: a panettone mold, which leads the person writing this post to GialloZafferano, which is the Italian Bible for Recipes, searching for how panettone from scratch. Now. Let’s take a minute of silence to remember the beloved neurons that once belonged to Thais, that tragically perished in the attempt of understanding that recipe. Because, and I’m not exaggerating, it took me days to even get the faintest idea of what’s behind the making of a panettone. I would say: do not try this at home. 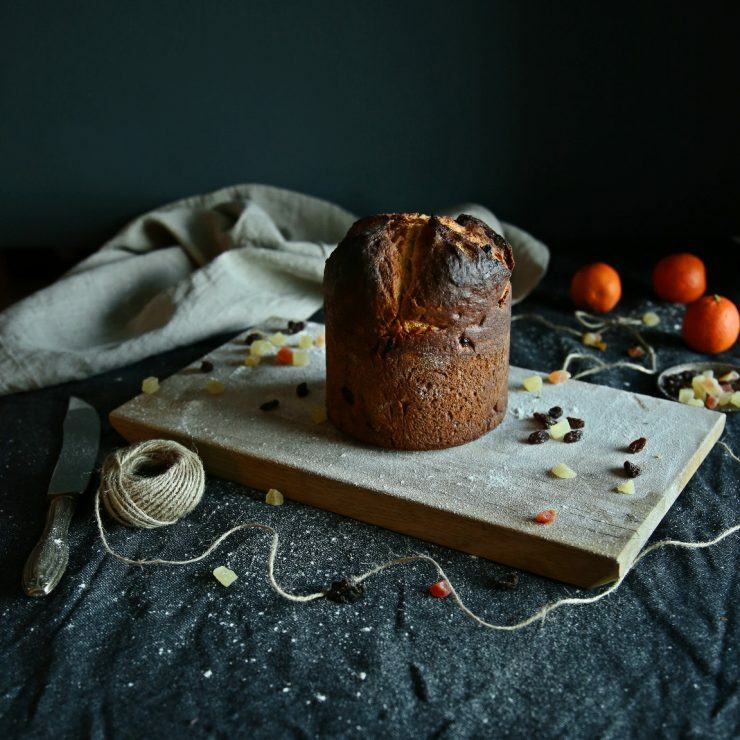 If you live somewhere even a little bit more normal compared to where we live, you’ll probably find a good panettone in the store at the corner of the street where you live and at a reasonable price. That is, during wintertime, anyway. 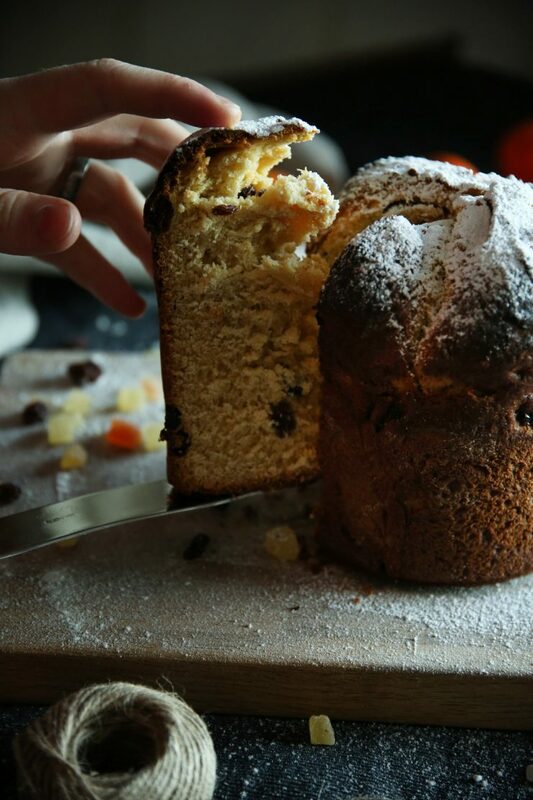 If you want panettone in any other time of the year, you won’t have any other choice than to go to Milan. What was I saying? 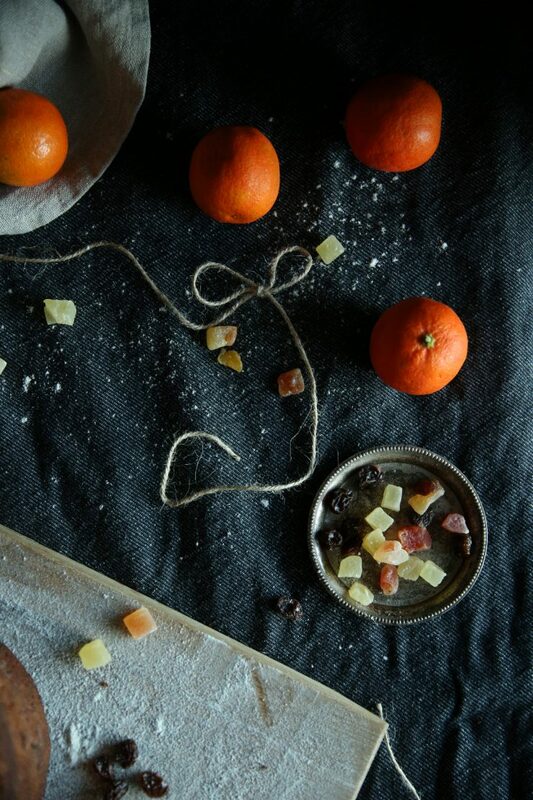 Oh yes, p a n e t t o n e. Buy it, unwrap it, slice it, enjoy it with friends. Eat the leftovers the next day for breakfast dipped into a latte. As I started to unravel the recipe, I started to understand that 1. It’s a long process, 2. There are many phases and 3. Whoever came up with this recipe really had nothing better to do. Basically the recipe consists of four phases, that become only (!!) three in case you would happen to have some sourdough, or “mother yeast”, as we Italians call it. Yeah, right, that’s also what I thought: sourdough is not exactly the kind of ingredient everyone has ready in their pantry. The whole process took 3 days. I have to say, it was really interesting. The idea is to add some flour, butter and egg yolks to the mother yeast and let it grow. Eggs in a dough that has to grow overnight? Yep, that’s what I asked myself too. The reason for that is that eggs have proteins that help the gluten to make those big bubbles we see when we slice a panettone. 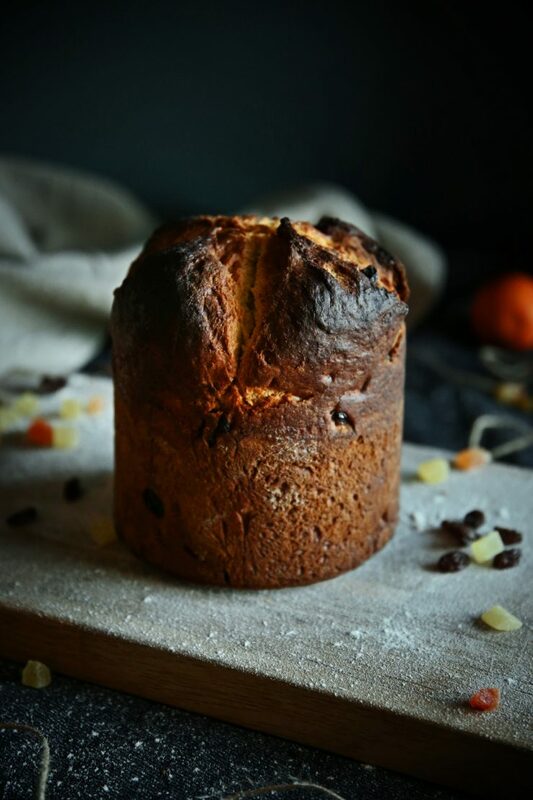 In the third phase, besides more flour, butter and eggs, we also add the raisins, candied fruits and lemon zest and of course let it grow overnight. During the fourth phase we are ready to work the dough still for a while and then finally bake it. Now you would think that this is the end of it, but no sir! I remind that panettone is very tall, so, in order for it not to sink into itself, you’ve got to hang it upside down overnight. Only then it will be ready to be eaten, buon appetito! 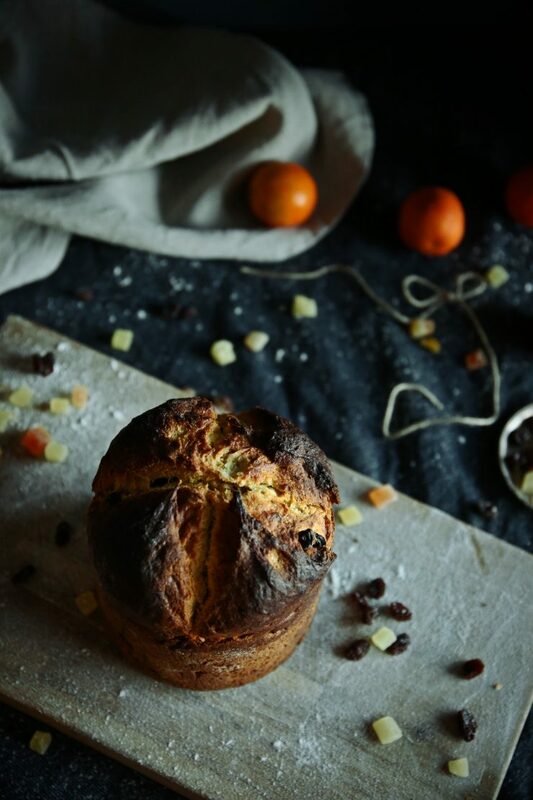 We were so surprised when the panettone succeeded at the first attempt! It was so soft, full of flavor and fluffy. i could not link to the recipe. 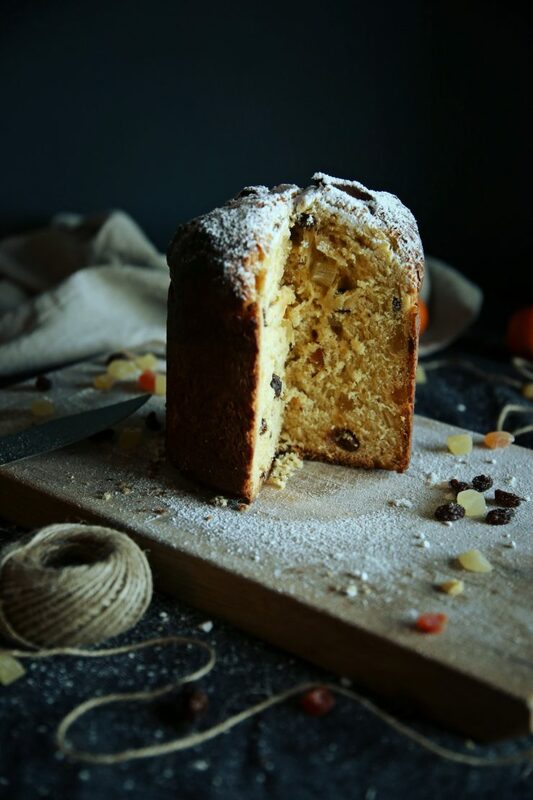 I did make my panettone again this year. I have four 5 years in a row so far. I am some Italian from my father, my grandmother was 1/2 Italian her other genealogy 1/2 was Slavanian. She never made panettone, she made patiza (MMMMM NUM!!!) My son-in-law is Italian. I fell in love with panettone 8 years ago when I had my first Christmas with him. He and my daughter brought panetonnes home to me from Italy. My words were “Oh My! This is delicious! I have to learn how to make it.” And so I did. I would love to compare my recipe to yours. Please help me link to your recipe. Hi Mary! Thank you for your sweet comments! 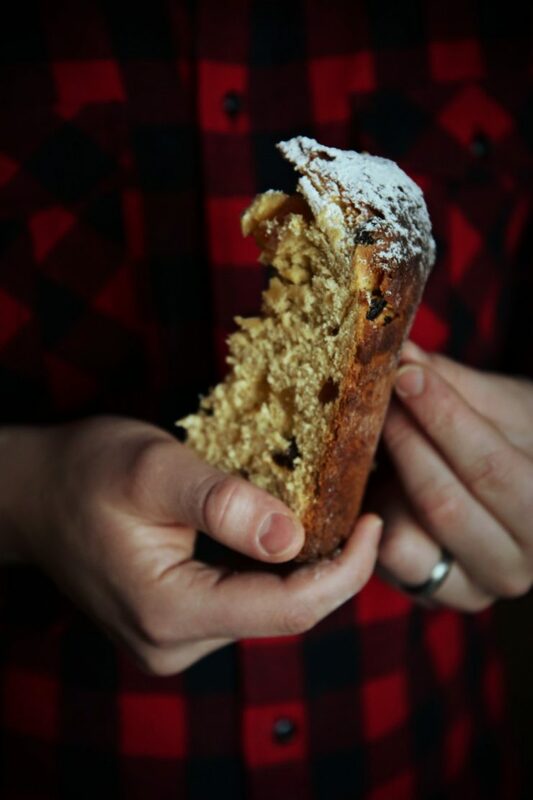 So nice to hear how panettone reached you and your family, thank you for sharing! I guess that also where you are based panettone is not something common then. 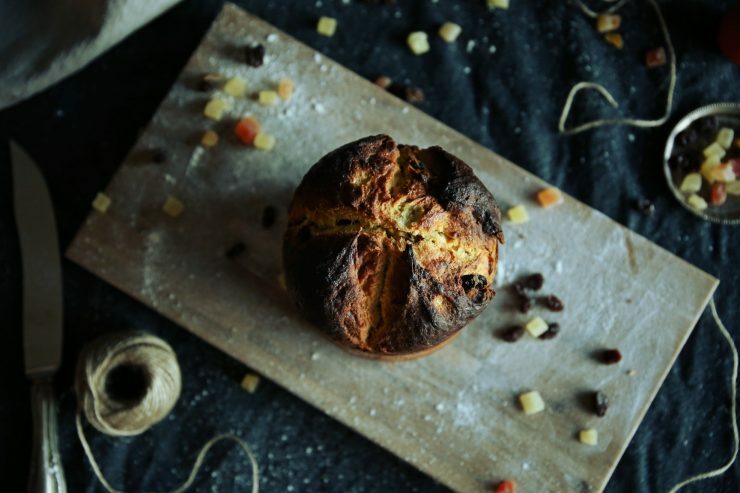 I actually haven’t yet developed a recipe for panettone, but I just followed the one you find if you follow the hyperlink on the word “GialloZafferano“. 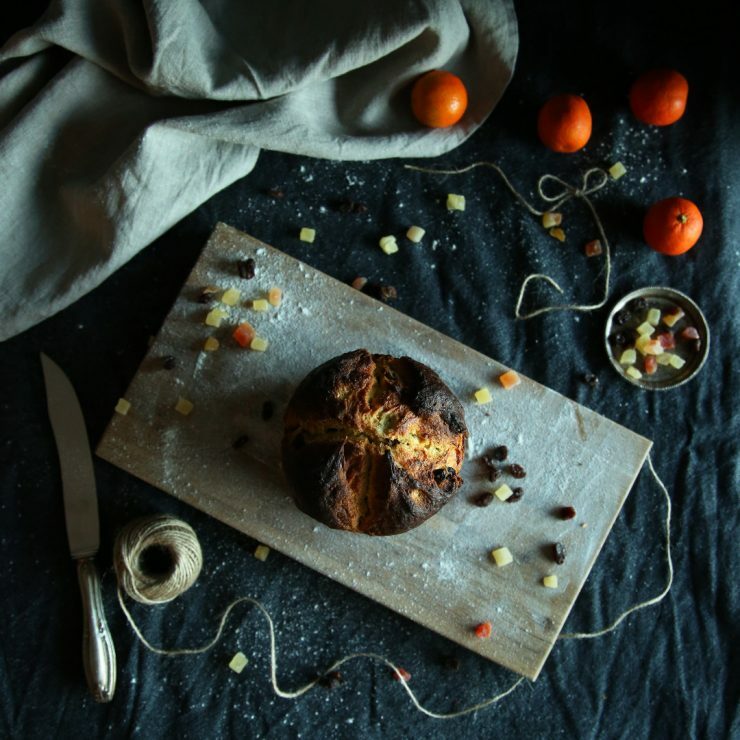 The recipe is in Italian over GialloZafferao site. 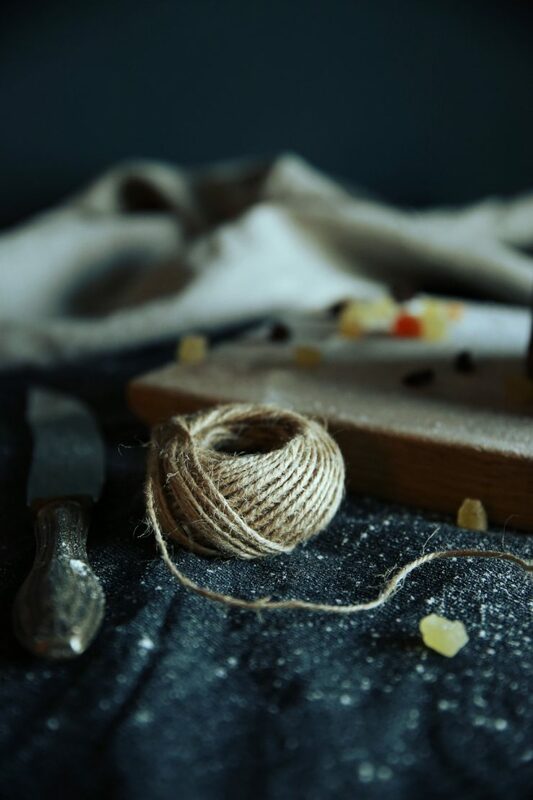 Since the traditional recipe is so long and tricky, though, I was asking at the end of the post whether you readers would like me to develop an easier one. I have already received quite many feedbacks so I guess I will! Ps. I am in this very moment baking a panettone, such a sweet smell! Nummy It is a wonderful smell. I have a hard time keeping out of mine while I wait for my son-in-law to arrive and cut into it. Fortunately he never waits long :). 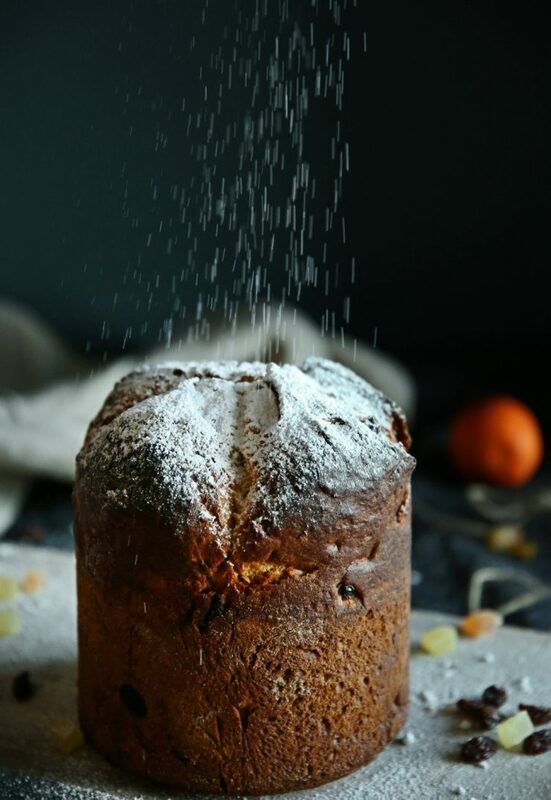 I use this recipe http://www.mangiabenepasta.com/panettone.html Although mine is very brown on top like yours.